Blurb: Recruited at his death to be a Protector of the Night, seventeen-year-old Daniel Graham has spent two-hundred years fighting Nightmares and guarding humans from the clawed, red-eyed creatures that feed off people’s fears. Each night, he risks his eternal life, having given up his chance at an afterlife when he chose to become a Protector. That doesn’t stop a burnt-out Daniel from risking daring maneuvers during each battle. He’s become one of the best, but he wants nothing more than to stop. Invisible, I leaned against the wall at the back of Eva’s bedroom, waiting for her to fall asleep and for the Nightmares to arrive. It seems like ages ago since I read a really decent YA Paranormal Romance novel. All the ones I have read recently have been off the mark somewhere along the line and left me disappointed. I was beginning to wonder if the genre had lost its sparkle or something until I picked this one up and my faith was restored – I’d just been picking up the wrong books! I will confess that I chose to read this book based on the cover alone, I didn’t even glance at the blurb (which, for the record, I think gives too much away). The way the people on the front are the only colour against the monochrome and their simple, but hopelessly loving embrace made it clear from the off that there was going to be some romance involved. The super creepy, giant clawed hands surrounding them were intriguing and hinted at something beyond the ‘normal’ world and all put together it had me sold. 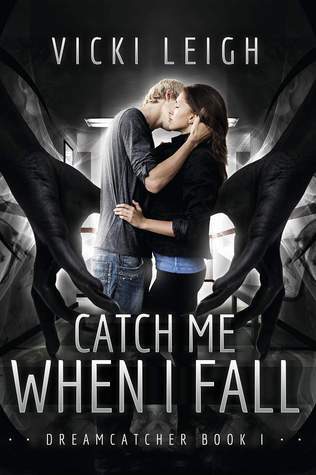 The first chapter of Catch Me When I Fall felt a little clunky, with a bit of back filling and fact giving that could possibly have been eased in better elsewhere but plenty happened and the characters were interesting enough that I had no issues with continuing to turn the pages. Once into its stride, Catch Me When I Fall was fast-paced and full of demon-slaying action which kept you constantly on alert. The ‘Nightmares’ were very effective monsters – the thought of them slithering into your bed at night and forcing nightmares into your head and in doing so, stealing bits of your memories and soul is positively creepy. They were well thought out and it was great to have something other than vampires or werewolves being the main threat in a book. The romance between Daniel and Kayla was very satisfying – they were clearly meant for each other but that didn’t stop them having insecurities and arguing when things got stressful and scary. It was a very natural romance and it made a nice change to not be a love triangle with the main character choosing between two potential ‘mates’. There was awkward history between Daniel and another character but again it was naturally handled and not a major plotline – just enough to show that the characters had normal relationships and lives. 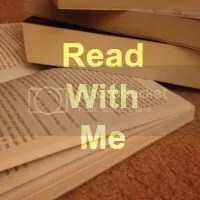 Whilst I loved Catch Me When I Fall, it missed out on a star for the awkward first chapter and also the fact that as much as I loved it, the ending felt a bit rushed. The big closing battle was just getting started and then it finished – I’m not sure why, but it just seemed very sudden. I wanted a couple more pages of action before the end played out, it almost felt as if it was cut short in order to make the cliff hanger ending more effective but instead it just felt a little forced. That being said, I will be looking up book two when it comes out because I really want to know what happens next!